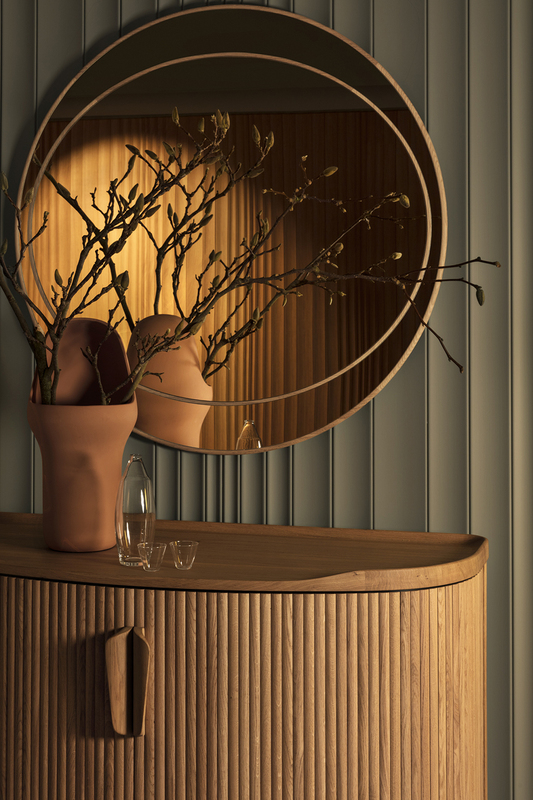 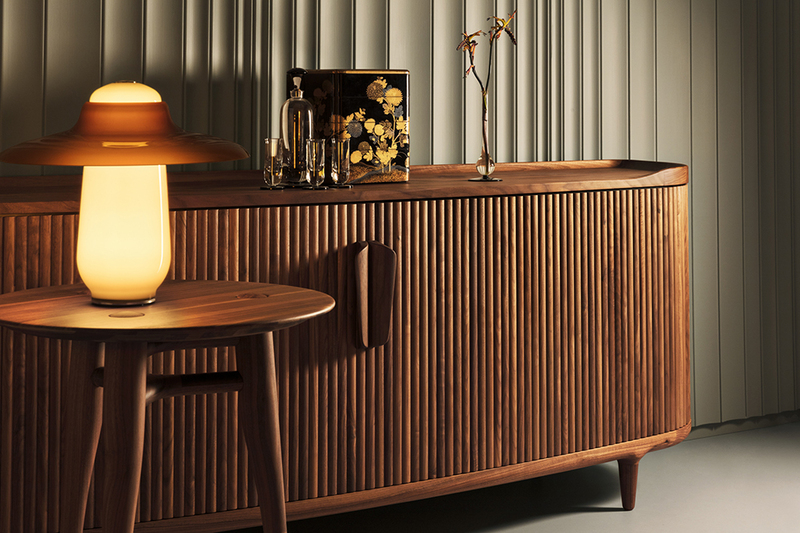 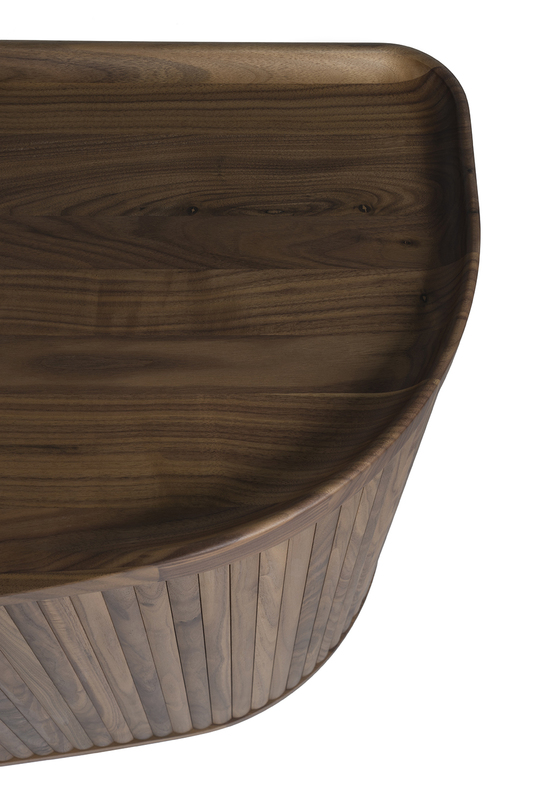 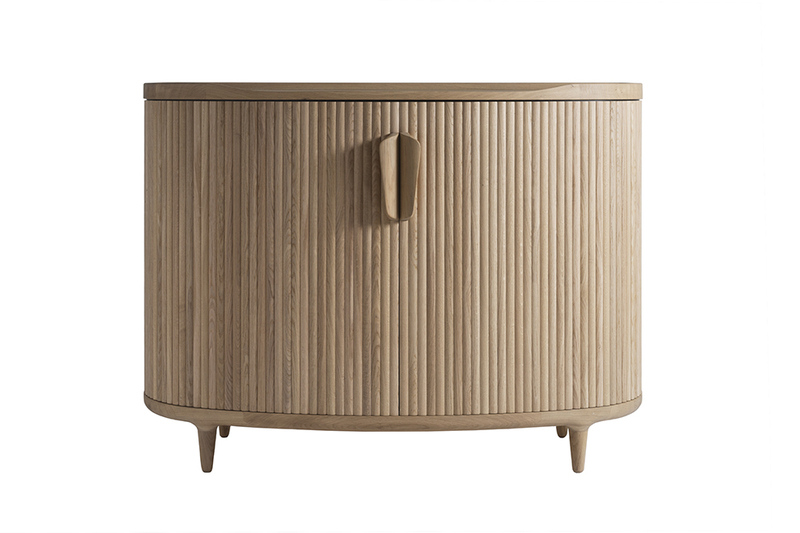 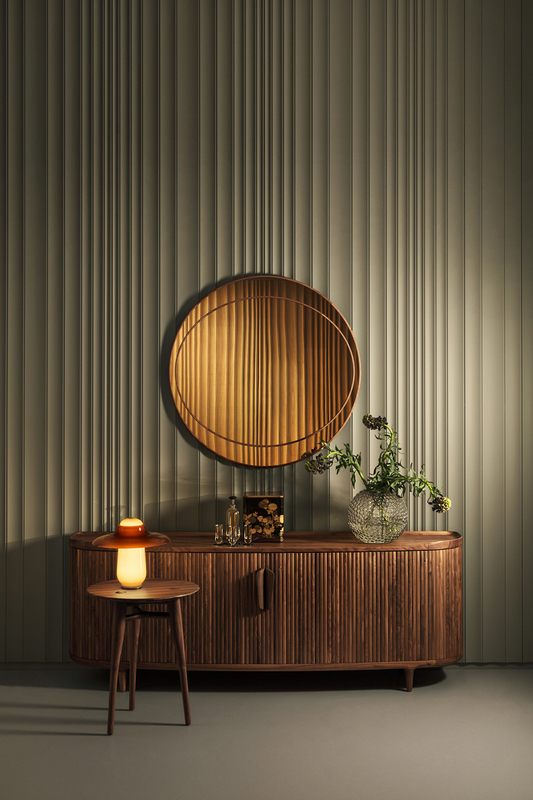 A cupboard crafted from solid wood with a veneered interior and tambour sliding doors. 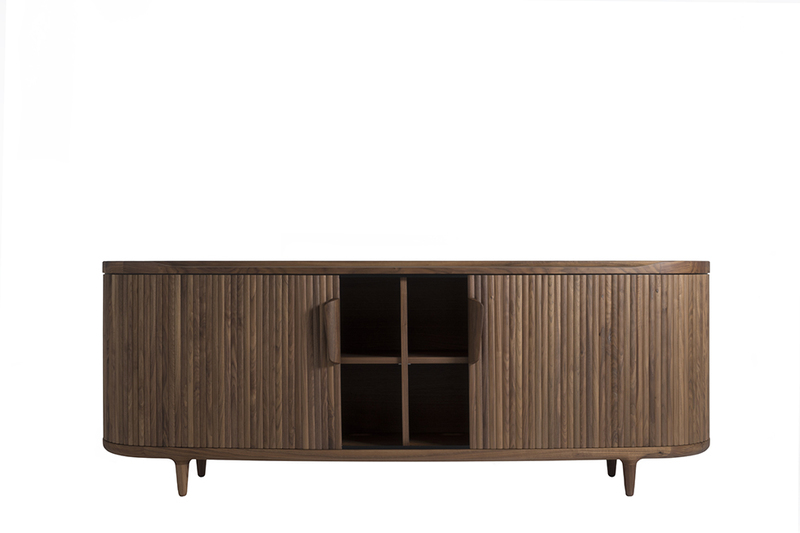 The Amberley High and Amberley Low are available in oak and walnut and available at the Revised webshop and in selected stores. Please contact Revised for more information.